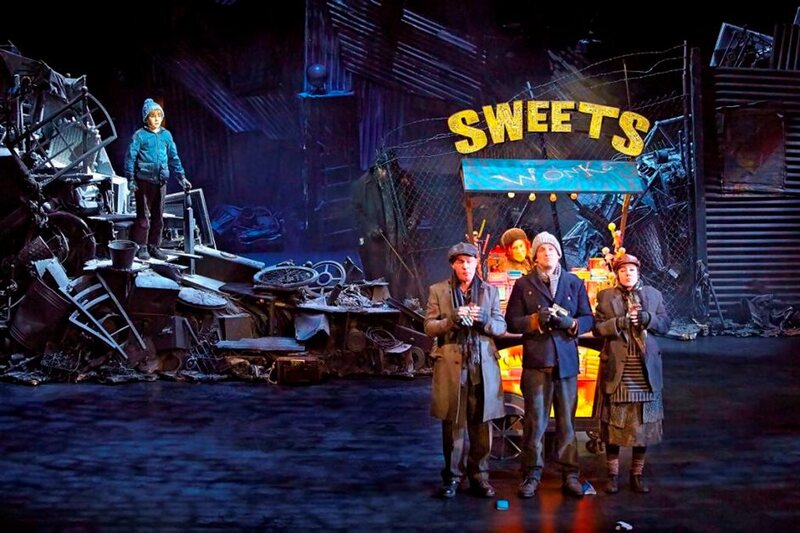 A beloved childhood novel, movie and movie remake, the blue chip property Charlie and the Chocolate Factory finally makes it to the music theatre stage. Housebound and bogged in exposition through act one, the musical takes magical flight in the second act, as the gates of Wonka’s factory finally open to let the five lucky children, and eager audience, inside. For such a special project, the cream of theatre talent and, evidently, truckloads of pounds, were brought on board. Director Sam Mendes (Oliver!, Shrek), composers Marc Shaiman and Scott Wittman (Hairspray), designer Mark Thompson (Mamma Mia!, One Man, Two Guvnors) and choreographer Peter Darling (Matilda, Billy Elliot) have each delivered their special gifts. Additionally, the results of the massive budget can be seen in every enormous, detailed piece of scenery and every amazing piece of stage magic. Yet despite this great skill and considerable expense, there is something missing at the heart of the show that prevents it from really taking off. Perhaps the narrative is too familiar. Perhaps the show is too slick and perfect. 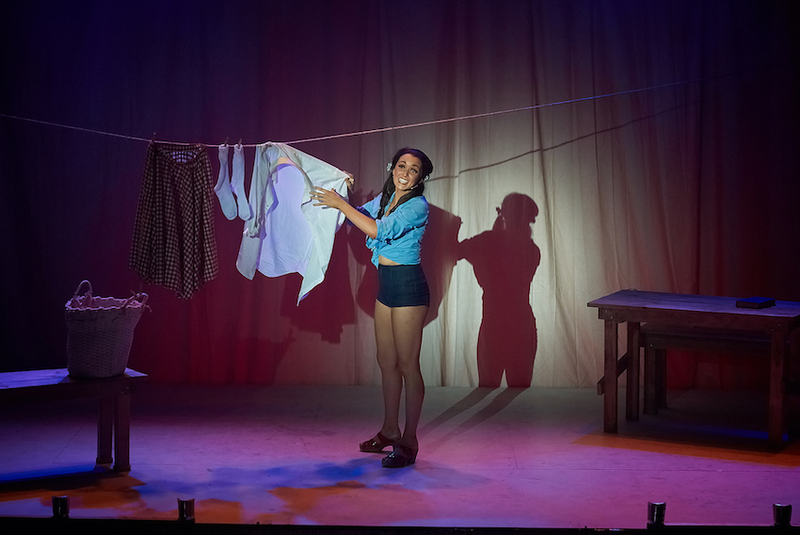 Perhaps the expectations would not have been as high if the musical of Roald Dahl’s Matilda had not been such a heart-tugging, mystifying, emotionally satisfying success. We begin with an animated short on the production of chocolate, narrated by Willy Wonka (Douglas Hodge) and drawn by Quentin Blake, longtime illustrator of Roald Dahl novels. Later, Jon Driscoll’s animated projections are on an epic scale inside the chocolate factory in creating the illusion of movement between locations. Poor dear little Charlie Bucket has a junkyard for his playground, and lives in hovel beneath a bridge. Cheered by stories from his four bed-bound grandparents, the plucky youth dreams of finding a golden ticket to explore the ever-enticing chocolate factory of Wonka, a man who seems a kindred spirit to Charlie in terms of inventiveness. The entertaining technicolor television news reports as each of the tickets are found punctuate the first act, as Charlie waits and hopes, and yet there is still probably one Bucket ballad too many. Finally, at the end of act one, we are at the Wonka gates to meet the great man himself. 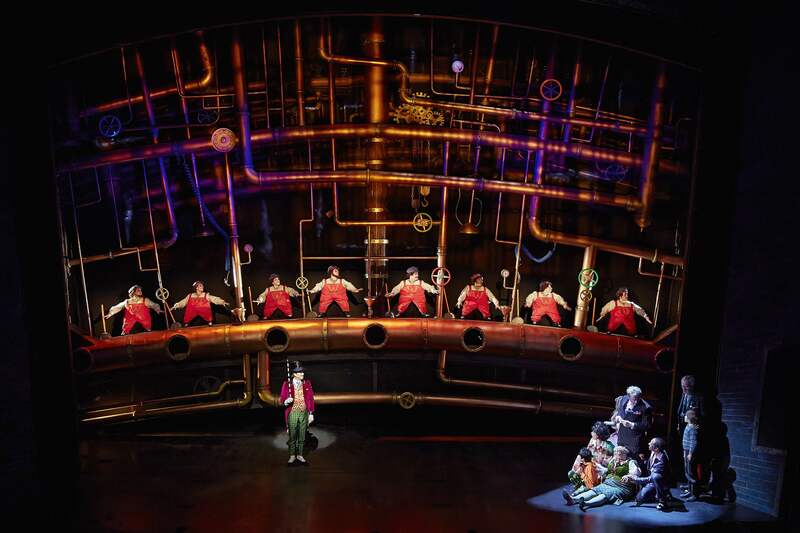 Act two is far more magically inventive and theatrically eye-popping as we tour through the wonders of the factory. The Oompa Loompas receive an entrance that would befit Ethel Merman or Bernadette Peters, and they more than live up to the hype, singing and dancing in all manner of guises in each scene. 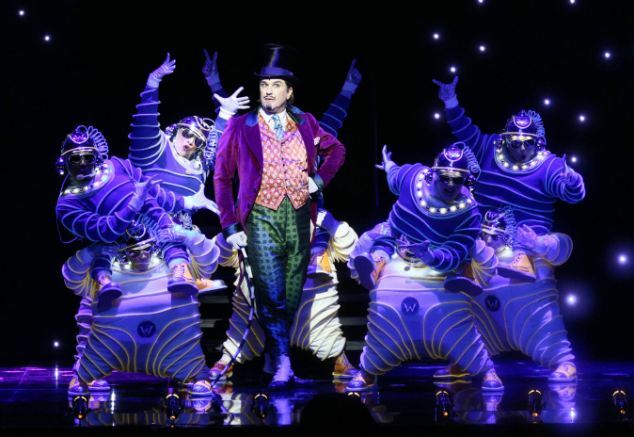 Finally, in a trick inaugurated by Grizabella, refined by Chitty and honed by Elphaba, we see Willy Wonka and Charlie float about the stage in the great glass elevator, singing “Pure Imagination,” the only truly melodious song in the score. The characters are taken on a physical journey through the factory, but not a psychological one. At the end, Wonka has not changed, Charlie has not changed, and we will never know if any of the kids have changed. Even if we had not all read the book and seen the movies, there is never any doubt that Charlie is the moral compass who will be rewarded from his wholesomeness, patience and vision. Compare this to the character arc of Elphaba, Simba or even Annie. It just does not stack up. 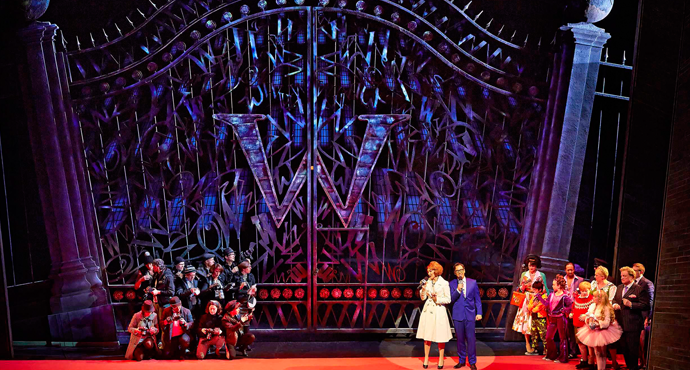 While not producing memorable hits on par with Hairspray, Shaiman and Wittman have fun with the musical styles for each of the children’s introductions, as well as for their dispatches. Despite having listened to the cast recording several times, I found it very hard to take in all the lyrics at the theatre, as many are just too rapid and intricate. 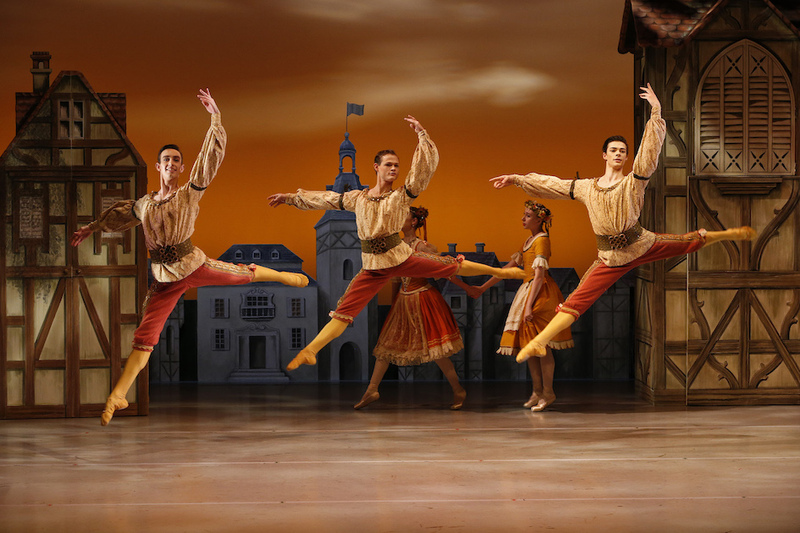 Darling’s choreography is frenetic, in an entertaining way, and tightly rehearsed. 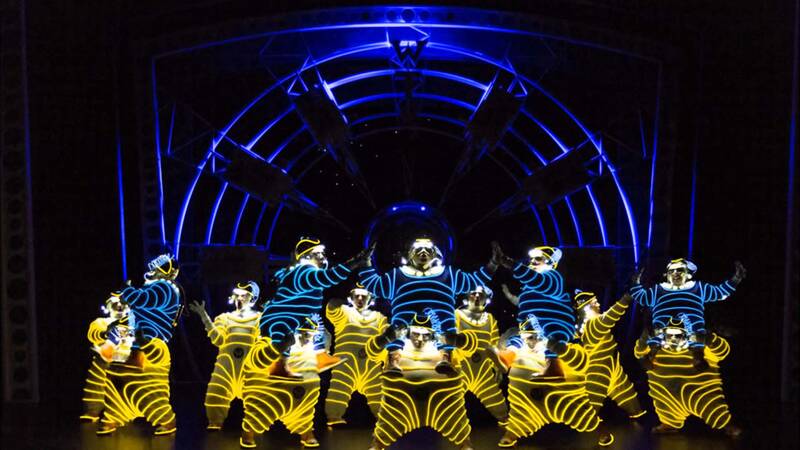 His inventiveness for the Oompa Loompas, supported by Thompson’s brilliant costumes, is nothing short of extraordinary. Thompson’s set designs are ingenious and spectacular, easily justifying the cost of admission (although, just to be clear, nothing justifies premium prices). Paul Pyant’s lighting is a great aid to the magic and mystery of the sets. Paul Arditti’s sound design is noticeably immersive. Jamie Harrison’s puppets and illusions add significantly to the charm and amazement. 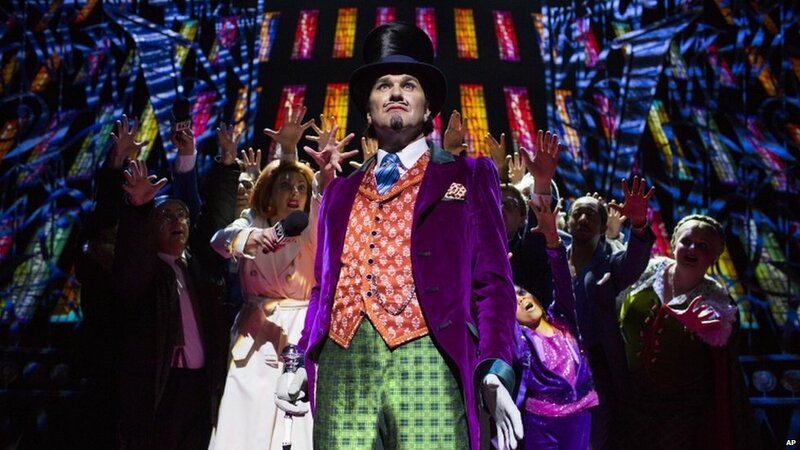 Douglas Hodge is all class as Wonka, bringing understated charm to a role that could easily be destroyed by a hammy actor. Nigel Planer is also luxury casting in the role of Grandpa Joe. Jack Costello is an earnest, adorable Charlie, singing with a sweet pure tone. In a clever touch, and perhaps taking a tip from the success of Matilda, the children are all cast young. Scarlet Roche maintains the ever-balletic, shrilly demanding ways of Veruca Salt. Jenson Steele is a jolly Augustus Gloop. Mya Olaye is an energetic and confident Violet Beauregarde. Tiny Luca Toomey pulls out some incredible dance moves as hyper Mike Teavee. While no music theatre fan would want to miss this show, and it will entertain countless family audiences, it is a shame that the heart and soul are just not fully there. 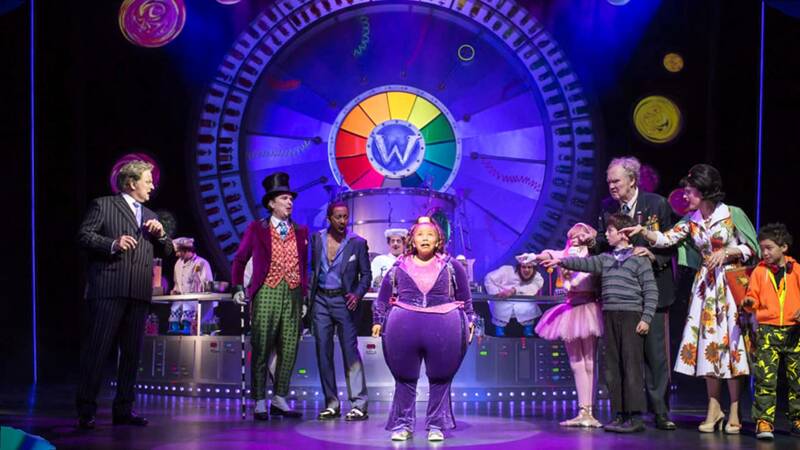 Charlie and the Chocolate Factory was reviewed on 16 January 2014 at Theatre Royal, Drury Lane, where it has an open-ended run. Footnote: the mathematics teacher in me loved that to get the chewing gum flavor of pie, Wonka ordered the addition of flavor number 3.141519. I have been looking forward to your review. 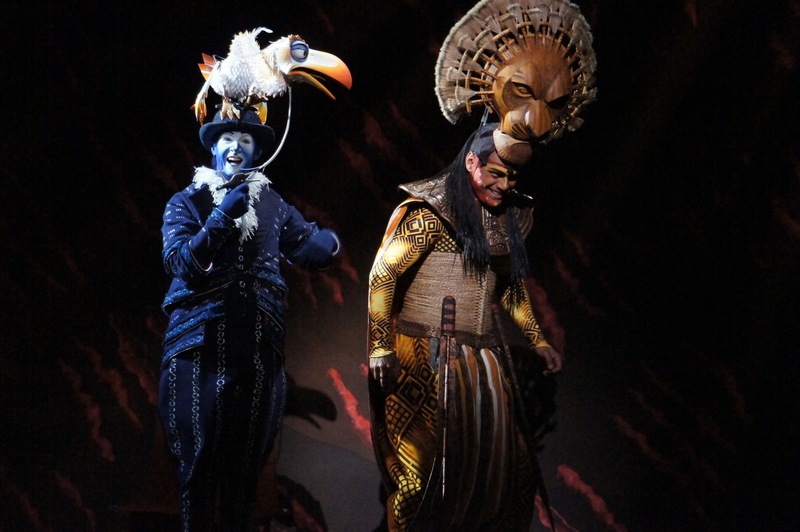 I absolutely agree that when shows sacrifice story for spectacle (not mentioning any names…King Kong…cough cough), productions feel less like theatre and more like theme – park rides. Having said that, if CATCF ever goes to Broadway or tours Australia, I’d still see it in a heart – beat. ps. I loved the ‘pie’ joke. Very clever. Thanks for your comment! I was really looking forward to seeing this show, and the gorgeous images have certainly stayed with me for the fee days since I saw it. Wish I had more photos to illustrate the incredible effects. I am wondering whether it will be changed a bit for Broadway. It would be great if they could somehow find that special but of magic it needs. Same for Kong I suppose, though that may be a much tougher assignment! Back to Melbourne this week. Luckily there are a few good shows coming up on the home turf. See you at the theatre!